Nothing! I just want the 2nd post! Smells good in here, let's smoke!!! Oh yeah, a Carlos Fernandez custom. The RyJ El 2007 Peter gave me! First Page!!! Last Nite: 1878 Pinar Del Rio Exclusivo! This Morning: An Awesome SC El Principe! Punch Rare Corojo post snowblowing. 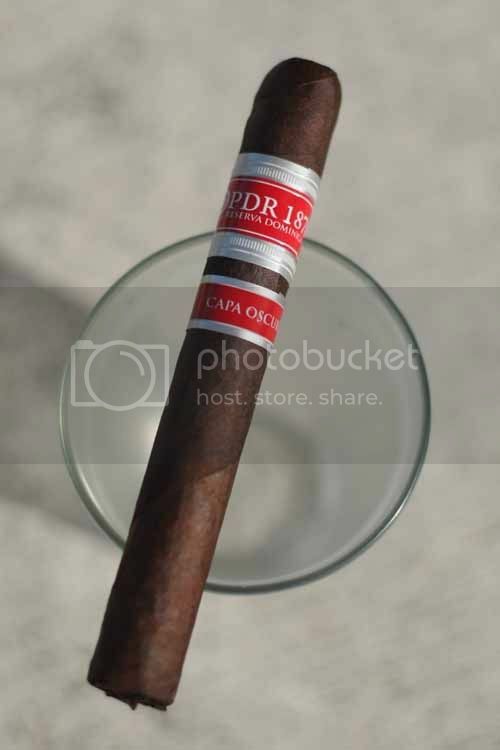 PDR 1878 Capa Oscura toro, a good low budget smoke. I enjoy those quite a bit. I had a late night Punch Bareknuckle Rothschild last night. Had a RP Decade. Not bad. MUWAT +11. The only shape I like in that brand -- others too thick. I've got a few of these resting in my humi. Looking forward to trying one soon. Just smoked my second Camacho Triple Maduro Robusto, the new band version. Bought two a few months ago to try and I don't know if anything changed other than the band but this cigar just dropped from my favorite Camacho cigar to my least favorite Camacho cigar. Glad I still have a few of the original band cigars left.